While visiting Galileo’s house in Florence, Jean Ranc reflected on how America thinks the world revolves around it, as it was once falsely thought the sun revolves around the earth. On a sunny day last January, my visit to Florence took me deep into the Tuscan hills where a conference titled, “The America of Trump, the Russia of Putin. And Europe?” had taken place, sponsored by the Fondazione Spadolini and the European University Institute. 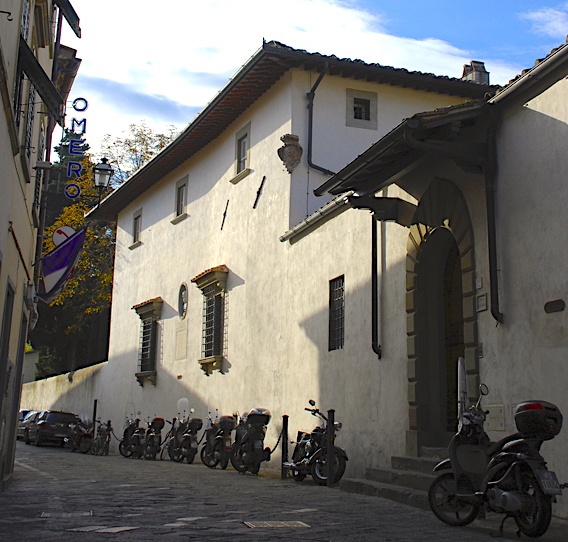 I visited the Fondazione to learn more about the conference, but on my return to Florence down the mountain, it was the Villa Galileo just across the road from a small trattoria where I had stopped, that truly intrigued me. My on-line search that evening revealed that indeed, it had been the last home of Galileo after his trial as a “heretic.” To save himself from torture and execution, he denied his heliocentric vision and lived under villa arrest from 1631 until he died in 1642. I had stumbled upon the very site of one of the Inquisition’s most infamous persecutions. A grim reminder of a 21st Century Inquisition we’re living through. I thought of present-day truth-tellers being hounded by contemporary inquisitors just as Galileo had been persecuted. Tellers of truth such as Edward Snowden, who revealed the extent of illegal mass surveillance; Chelsea Manning, imprisoned seven years for revealing U.S. brutality in Iraq and Afghanistan; Julian Assange locked up in London’s Ecuadorian Embassy as an exile since August 2012 for publishing leaked U.S. secrets in Wikileaks; and Katharine Gun, a British whistleblower who faced two years in prison before her case was dropped for exposing the NSA’s spying on U.N. Security Council nations before a vote to consider authorizing the 2003 invasion of Iraq.